The valve/gasket kit from Ingersoll Rand includes all of the parts needed to replace the valves and top end gaskets on the 2340 bare compressor pump from Ingersoll Rand. Parts are included for both the high pressure and low pressure heads. 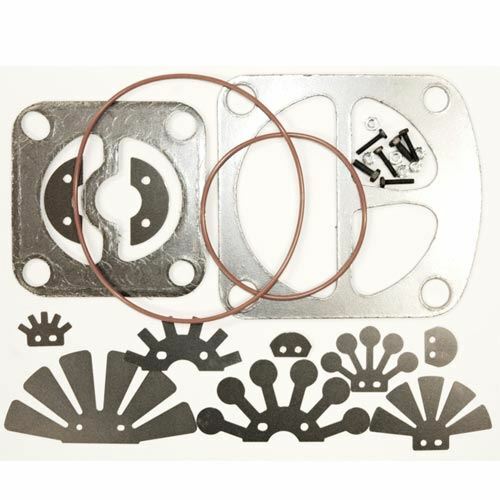 Typically a valve and gasket kit would be needed if your compressor does not build air pressure. If you hear the safety valve popping on the low pressure cylinder head, this means that your valves are bad and need to be replaced as well. An instructional sheet is included that displays how each part goes together.